Electrolytes are most commonly associated with performance horses. This is simply because competition horses lose a lot of sweat and, therefore, electrolytes when they compete. However, any horse that sustains heavy sweat loss many benefit from an electrolyte supplement. 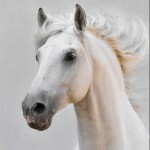 Although electrolytes are lost when the horse sweats, they are also expelled through urine and faeces. In normal circumstances, the horse’s usual diet would provide enough key salts to replenish these levels. It’s when the horse sweats over and above a ‘usual’ amount that supplementation maybe required. The good news is that adding electrolytes to the diet is very easy to do. Electrolyte supplements usually come in the form of a paste or a powder, although liquids are also available. 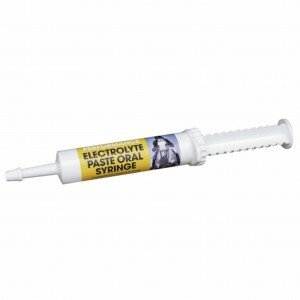 We sell both Electrolyte Paste and Revitalyte Electro Salts. Horses can sweat for many reasons, not just because they’ve been galloping or competing. Some horses sweat a lot when they are transported, when they’re stressed, and obviously when the temperatures soar. Electrolytes play an essential role in the body and help to prevent dehydration, so making sure your horse isn’t deficient in this area is really important.